What is your junk food weakness? Sweets! What is your dream date? Watching the sunset at Lakewood Park and after grabbing dinner! Not your ordinary “dinner and a movie” date! What is your biggest fear? I am deathly afraid of birds, so much so that I actively avoid them while walking on the streets. But seriously, I am afraid of disappointing people who believe in me. Do you have any pets? Sadly no. I’m not home enough to take care of a one. Who is the most inspirational person in your life? Everyone I’ve come in contact with in my life thus far has inspired me in one way or another, but I would not be the woman I am today without my mother. She’s everything to me. My biggest cheerleader, supporter, best friend, everything! What is one thing most people would be surprised to know about you? I can probably quote the whole movie Remember the Titans! That’s one of my favorites! Do you have any nicknames? I have many nicknames thanks to my family, friends, and teammates. Jazz, Jazzy, Jazzy Phizz, Jazzy Fresh, Jazzy Pooh, Jazzercise, Duffy, and Juicy J. What is your biggest accomplishment? Graduating with Honors from The Ohio State University and pursuing my dreams of dancing professionally. What is a failure you learned from? The dance world is tough in that you audition, audition, audition for a variety of opportunities and more than likely you will get a "No" or "not right now." I've gotten many "no's" and from that I learned how to be patient and trust that whatever God has for me won't pass me by. However, being patient is easier said than done! What famous person (dead or alive) would you like to have dinner with? why? I would like to have dinner with Michelle Obama. She just exudes beauty and grace and I feel like I would learn a lot from having one conversation with her. What is your guilty pleasure? Binge watching Netflix on my days off! What would be your super power? I would love the ability to read people's minds. I think it would be interesting to see why people act a certain way or do certain things. What celebrity would play you in a movie about yourself? Beyoncé! I am most proud of: the woman I am becoming and all the choices I’ve made to get me where I am today. I’ve always wanted to: learn how to play an instrument. What is your dance background and experience? I have twenty-one years of dance experience. My mother started me when I was only 3 years old. I almost quit when I was younger because I wasn't a fan of early morning Saturday classes but thankfully she made me stick with it! I became more serious about dance when I started dancing competitively at nine years old. I competed with Jordan Center Dance until I graduated high school. I received my Bachelors of Fine Arts in Dance from The Ohio State University. While at Ohio State I was heavily involved in the Department of Dance, performing in many shows locally in Columbus and I even had the opportunity to travel and perform in Costa Rica. Not only was I a dance major at OSU, but I was also a member of the nationally ranked Ohio State Dance Team, where I had the opportunity to perform at every home football and basketball game cheering on the Buckeyes to a football National Championship! With the dance team, I also had the opportunity to travel twice to Orlando, Florida to compete in UDA's National College Dance Team Competition where colleges from across the country also competed. 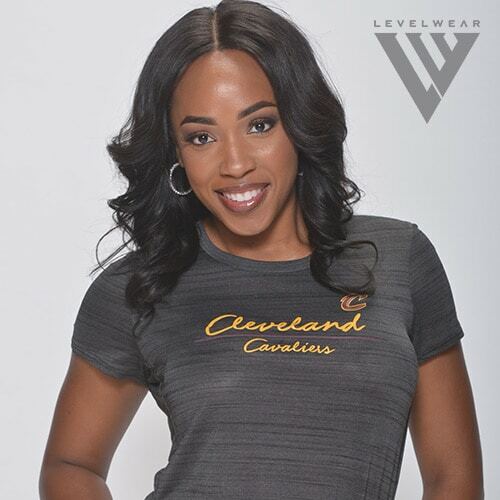 After graduation, I moved back home from Columbus and I am so thrilled to be back in my hometown of Cleveland, Ohio sharing my love of dance with Cavalier fans! 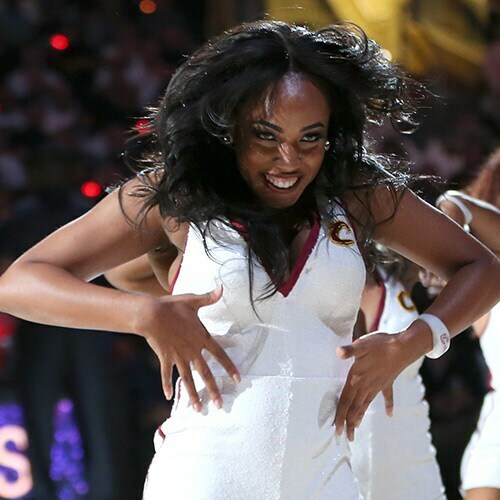 Why did you decide to audition for Cavalier Girls? Dance is something that I've always been passionate about. Being on The Ohio State Dance Team, I realized that I enjoy performing in front of thousands of people while promoting team spirit and adding to the fan experience. What better place to do that than my hometown and for the best team in the NBA! If you can say anything to Cavalier fans, what would you say? Thank you for being the BEST fans in the NBA! Your loyalty and support is unlike any other! Let’s get another championship this year! What do you like most about being a part of Cavalier Girls? Being on the other side...I remember going to Cavalier games with my family when I was younger and thinking I would love to be a Cavalier Girl. It's amazing that I'm on the other side and young girls are looking at me and thinking the same thing. I love being a positive role model for them. Most memorable Cavalier Girl moment so far? The watch party for Game 7 of the 2016 Finals! Being there and being a part of Cleveland history was amazing! It was about 30 seconds left in the game and I remember looking around at all the fans thinking we're about to be NBA champions! And then celebrating that win with 1.3 million Cavalier fans at the parade, words can't describe how awesome that was!